Imagine having a fun and profitable business that lets you work from home using your creativity to make beautiful gift baskets. You can when you start a gift basket business! Are you the type of person who’s full of creative ideas? Do you look for reasons to celebrate? Are you known for giving the perfect gift? When you start a gift basket business you will have the opportunity to be creative every day you choose to work. One of the best things when you start a gift basket business is how quick and easy it is. You can use skills you already have in your gift basket business, and work part-time or full-time. or create any type of gift basket you most enjoy! When you think of all the occasions for giving a gift basket, it might seem you need a huge selection of gift baskets to start a gift basket business and be able to offer something for each occasion. But here’s an insider tip: Many of these gift baskets can be made containing exactly the same items! Small accents or unique containers can make gift baskets specific to the occasion. Imagine the fun of browsing unique, adorable, or gourmet items, and then buying the best ones for your gift baskets. Your creative side will be satisfied when you learn how to start a gift basket business and make all your great gift basket ideas a reality. And people who buy from your gift basket business will be able to express their feelings — such as love, sympathy, or gratitude — with your beautiful gift baskets. As long as you have the desire, you can start a gift basket business. You don’t need any special education or any expensive equipment to start a gift basket business and succeed. If getting paid to create gift baskets sounds like the career of your dreams, the FabJob Guide to Become a Gift Basket Business Owner is for you! In this 'how to start a gift basket business' e-book you will discover how you can start and run your own successful gift basket business from your home, making beautiful gift baskets that you sell to well-wishers in your city or town, or even across the country. The FabJob Guide to Become a Gift Basket Business Owner includes a directory of more than 75 manufacturers and distributors of gift basket items, sorted by category, so you will be able to get what you need to create professional looking gift baskets quickly and cost-effectively. You'll get expert advice on how to sell your gift baskets to the corporate market and to other types of customers. You can have all this and more for an incredible price. 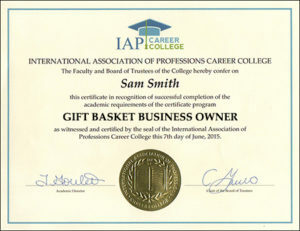 It can cost hundreds of dollars to take courses on how to start a business, and chances are they will not include specific information about how to start a gift basket business. 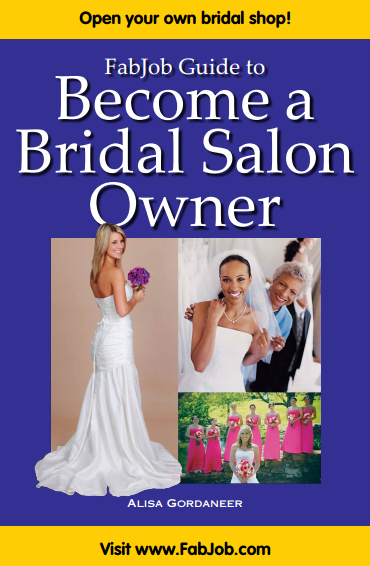 The FabJob Guide to Become a Gift Basket Business Owner contains some of the best business advice you could get from other sources, and more. The information in this guide can save you many hours of research, help you avoid some costly mistakes, and give you information you need about how to start a gift basket business. 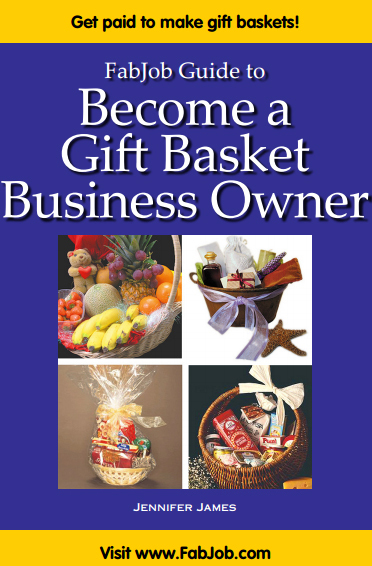 You can earn back the price of the gift basket business guide your first day in business. 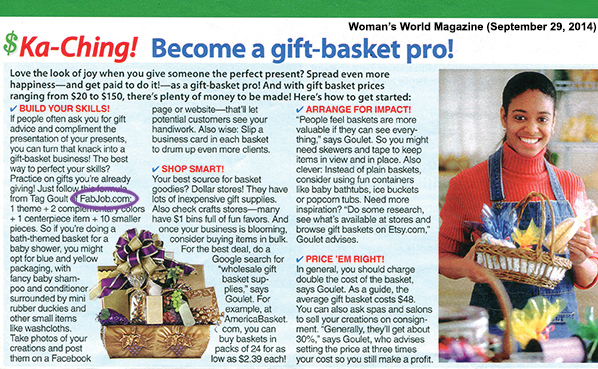 Plus this guide can help you start your own gift basket business much more quickly and profitably. If you believe you deserve to have the career of your dreams, the how to start a gift basket business guide is for you. 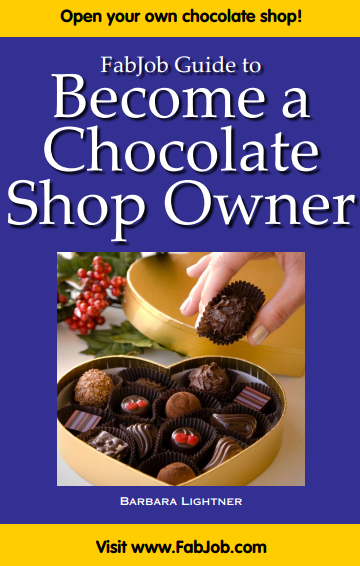 It gives you what you need to know to start your own gift basket business.